Tokyo is not a particularly pretty place. It consists of miles and miles and miles of prefabricated houses, stretching as far as the eye can see, on a mostly flat area of land. The urban sprawl never seems to end. Certain areas of course have great character — Shinjuku, Shibuya, Ueno, and what not — but if you were expecting to see something beautiful and traditional out of the set of ‘Memoirs of a Geisha’, then you better go to Kyoto instead. There’s a very simple reason for this: most of Tokyo was razed to the ground in a fiery hell during the tragic bombings of World War II. And with most houses back then being built of wood, it didn’t take long for the majority of the city to burn down, destroying architecture, neighborhoods, and local character. What replaced it was most westernised housing, and drab urban areas. 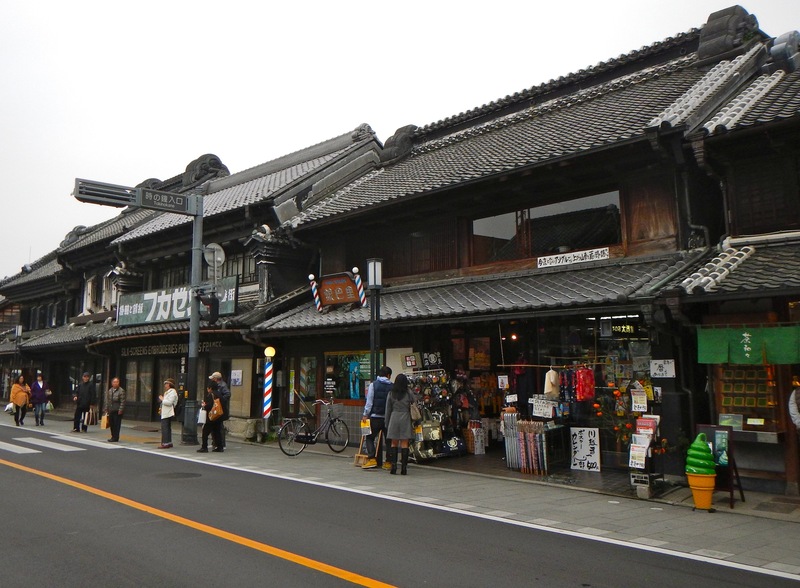 However, there is one area that managed to survive the destruction of WW2 — and it happens to be in Saitama! So perhaps I was a bit too harsh on poor old Saitama after all. 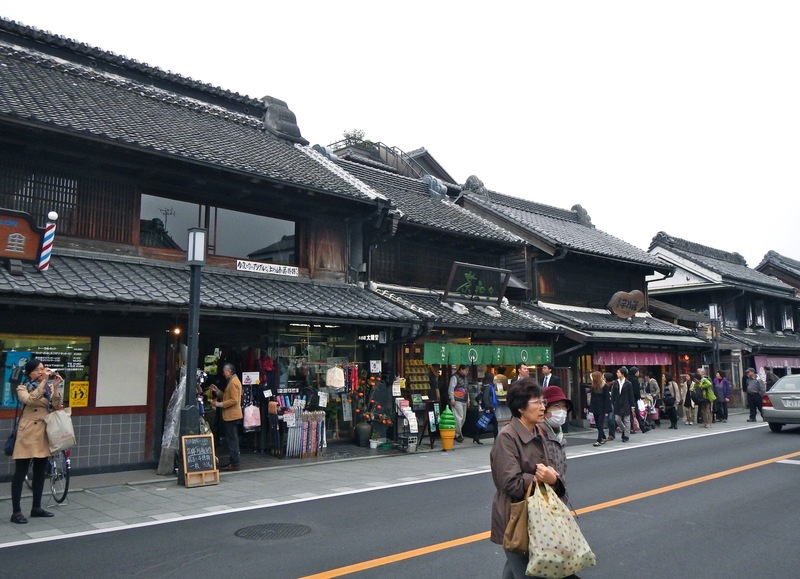 If you want to see what Tokyo looked like once upon a time, all you have to do is go to Kawagoe. 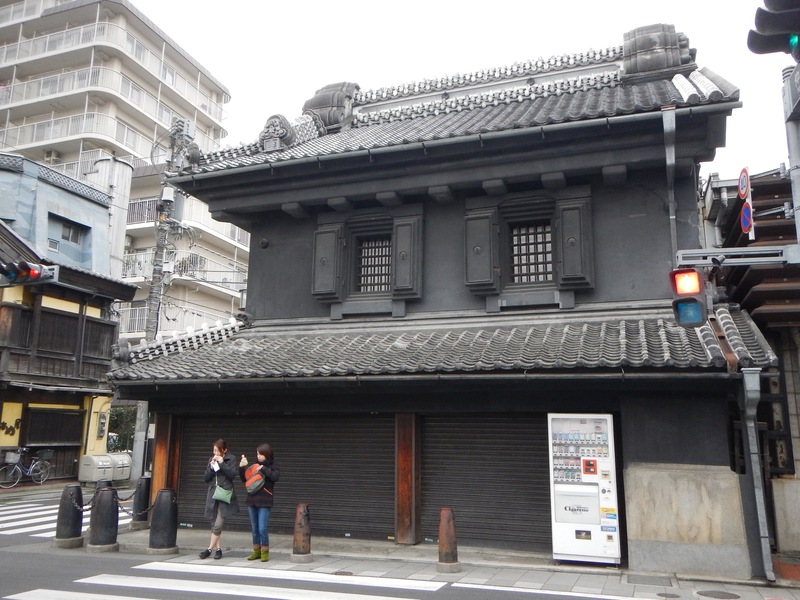 Here you will find an area often referred to as Little Edo, with beautiful old merchant houses, and traditional architecture that once abounded. 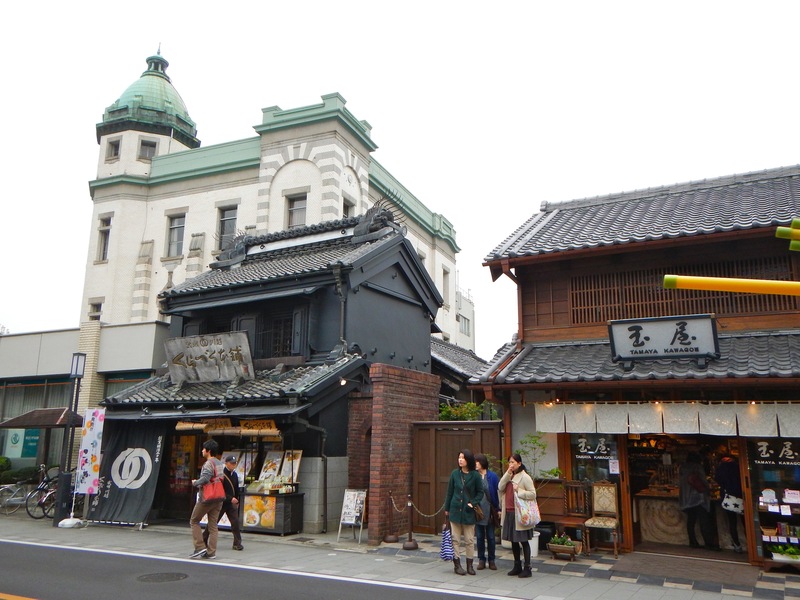 It is often quite a strange contradiction to see these old Edo-period buildings, flanked by modern highrises, such as in the picture below. Of course, it’s not all completely traditional, not anymore… there are a few shops that sell new, funky, trendy items. Such as, Kimono Kitty. 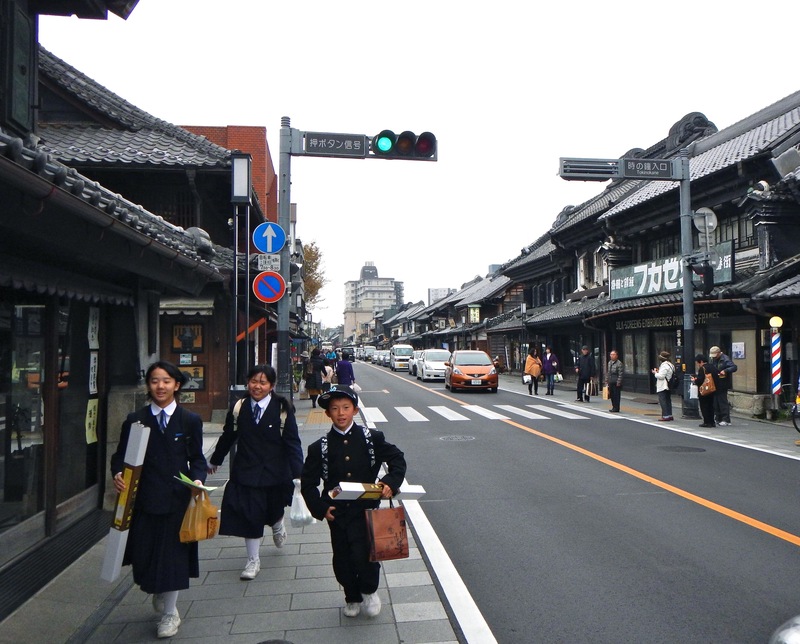 If you want to go to Kawagoe just to walk around and take pictures, good luck. The main road where all the traditional merchant houses are happens to be the busiest street in town, so it’s constantly full of cars. If you want to try to get a shot of the buildings without a Prius in front of them, try to stand up by the traffic lights, and wait for the cars to stop to get a good shot. I went on a Wednesday morning, and still had to deal with the endless stream of cars passing by. I can’t quite figure out why they haven’t made the entire strip into a pedestrian zone for tourists. Be sure to check out Penny Candy Lane, or Kashiya Yokocho, which has lots of lovely shops selling little treats and sweets and crackers and what not. Very yummy. Makes a good souvenir too. 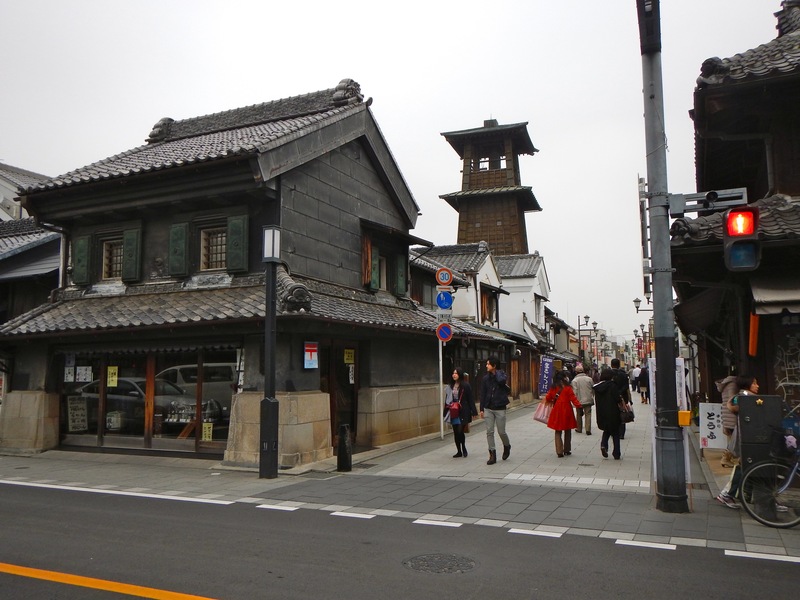 Getting around Kawagoe is quite easy, as there are thankfully signs leading you to where you want to go, so it’s hard to get lost. JapanGuide website has a good explanation of how to get there. To check train times, check the very useful Hyperdia website for a point to point search of train lines. Kawagoe is a place that is dear to my heart, because when I had first arrived in Tokyo as an English teacher, all the way back in 2006, and was living on my own for the very first time, in a country far, far away from my homeland, I decided to go to Kawagoe for the annual Kawagoe Matsuri, or Kawagoe Festival. 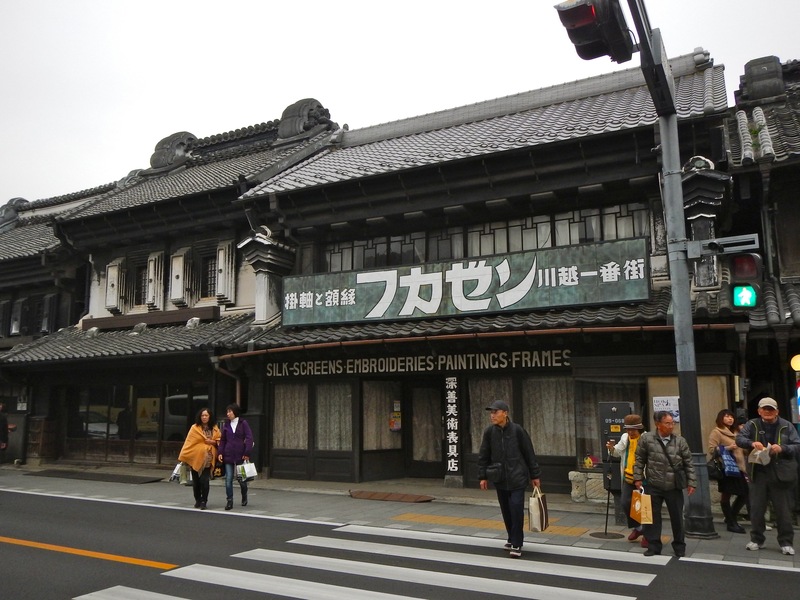 I checked the train lines, hopped on the Seibu Shinjuku line, and managed to get myself to Kawagoe without getting lost. As a reward, I was treated to one of the most amazing festivals I’ve ever seen. It takes place every October so if you have the chance, don’t miss out on Kawagoe Matsuri.